On 26 June, 2018, the Eastern Partnership Civil Society Forum (EaP CSF) participated in the EaP Panel on Rule of Law, which took place in Paris (France). The meeting was focused on fight against high-level corruption and financial investigations. Some experts from EU Member States (Austria, Estonia, Germany, Romania, Spain and Sweden) shared with their EaP counterparts the challenges and best practices when addressing high-level corruption. There were other sessions on strengthening tools for financial investigations and on the legal framework at national level in the Eastern Partnership. 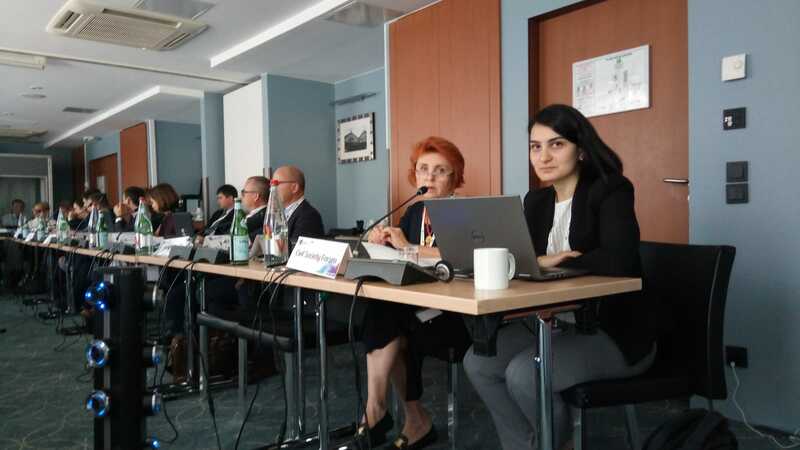 The Forum was represented by Lilia Carasciuc, from Transparency International Moldova, and Tatevik Khachatryan, Open Society Foundations (OSF) Armenia. At the meeting, Ms Carasciuc commented on the situation in some EaP countries. She welcomed recent developments in Armenia, regarding recent investigations opened against former governors, and elaborated on the worrying tendencies in Moldova. As a matter of example, she mentioned a letter that Transparency International Moldova received from a group of prosecutors in which they denounce that they are forced to close criminal files for money, and open criminal files against political opponents. On the other hand, Ms Khachatryan stressed the unprecedented conducive environment to fight corruption on systemic level in Armenia and the opportunity to reform the anti-corruption legislative and institutional framework in the country. She called for introducing corruption crimes in the Criminal Code of Armenia – now they are only classified by order of the General Prosecutor – and for adopting legislation on declaring and revealing assets. She also advocated for greater cooperation between the government and civil society actors towards the implementation of the OECD recommendations, aimed at bringing quick and tangible results into the field of fight against corruption. “The new Armenian government has shown full determination to eradicate corruption from all spheres of public life. Society is excited to see opened investigations on high-level corruption cases against MPs or senior public officials from the previous administration”.